Looking for a business opportunity that offers the prospect for steady income, high rate of return and growth potential that also has recession resistant characteristics? 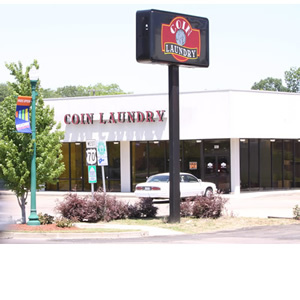 A vended laundry (also referred to as coin laundry and self-service laundry) business could be right for you! Currently there are around 35,000 vended laundries in the United States, and they generate approximately $5 billion in gross revenue annually. Clean clothes, like food and shelter, are considered a necessity of life. Vended laundries thrive in periods of both growth and recession. During periods of recession, when home ownership decreases, the vended laundry market expands as more people are unable to afford to repair, replace or purchase new washers and dryers, or as they move to rental housing with inadequate or nonexistent laundry facilities. The market grows proportionately to the increase in population. The public will always need this basic health service — people always need to wash clothes! NOBODY has more experience than Justin Laundry Systems!